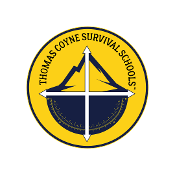 Thank you for choosing Thomas Coyne Survival Schools. This payment will secure your Counter Custody Module, located at our offices in Irvine, Ca. Please feel free to contact us with any further questions at all. 805.441.7750. All purchases are fully refundable within 30 days of purchase, however not within 30 days of the course.